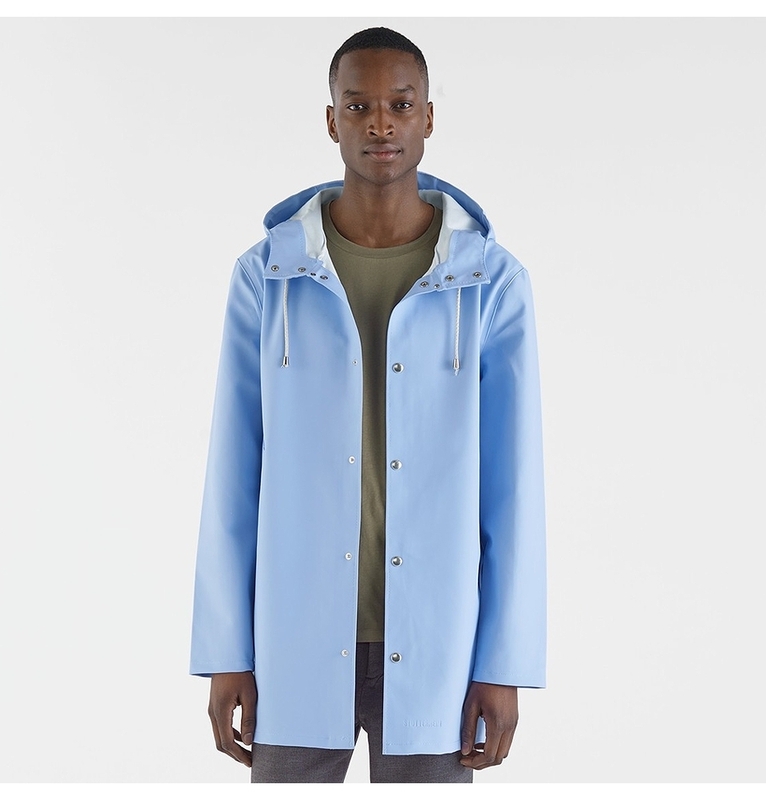 The Stockholm raincoat quotes Alexander Stutterheim’s grandfather’s original raincoat. 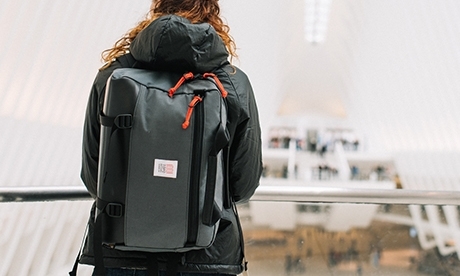 The coat has snap closures, drawstrings and exemplifies both versatility and durability in its updated design. 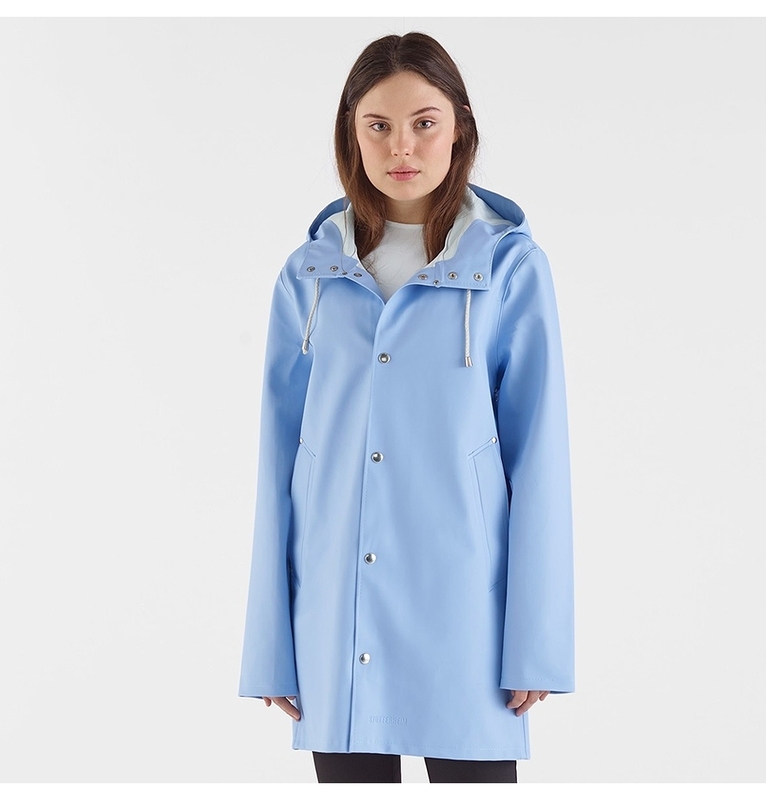 The Stutterheim Stockholm Light Blue raincoat is handmade in rubberized cotton, unlined and with double welded seams. The finest craftsmanship is used to create this beautiful raincoat, here in a light blue version with silver buttons and cotton strings. 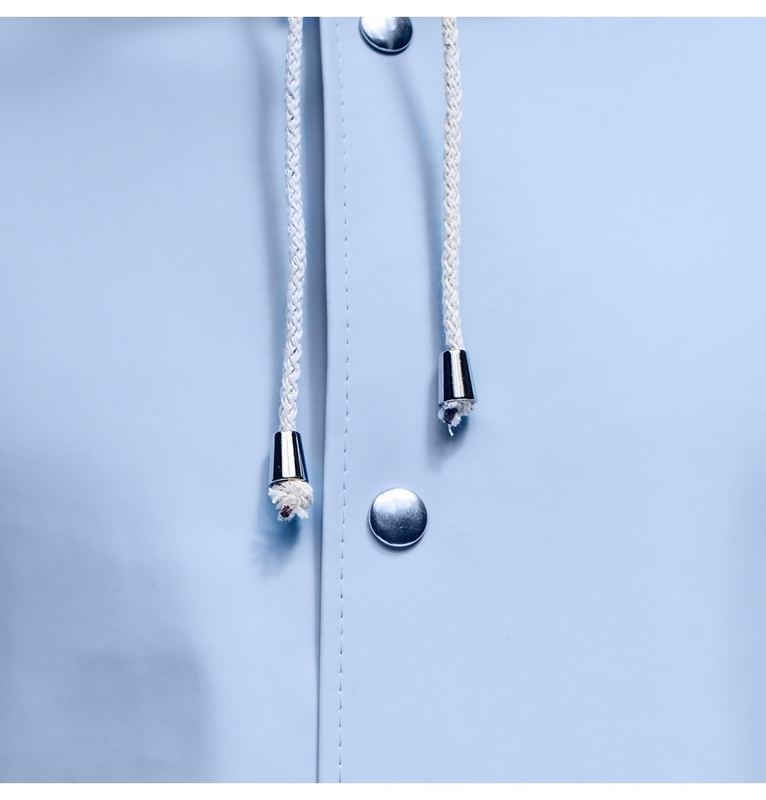 The Stutterheim iconic rubberized cotton is the material most closely associated with Stutterheim. 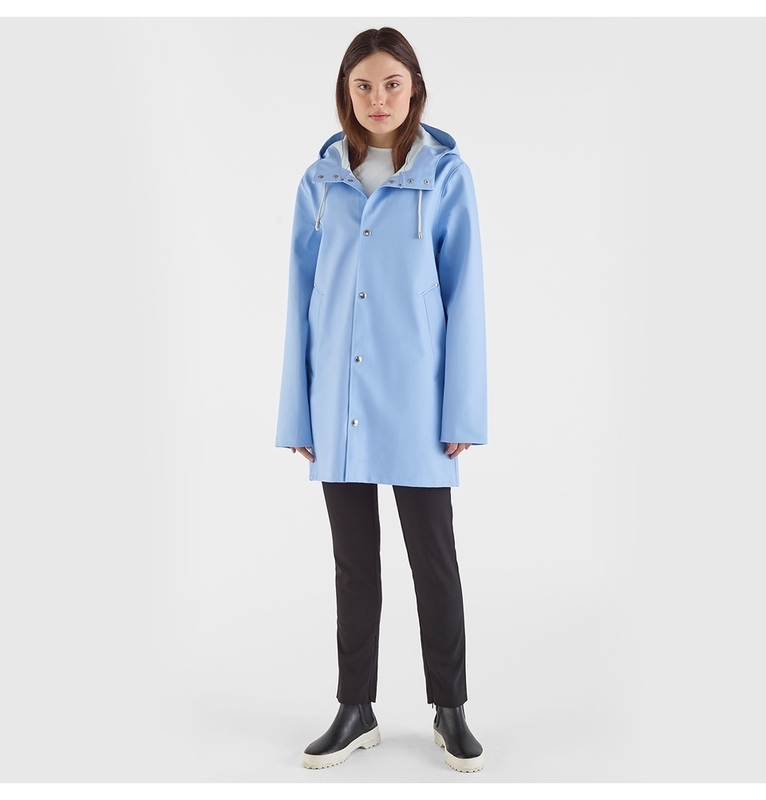 The Stutterheim Stockholm raincoats are created of this high quality, waterproof material. 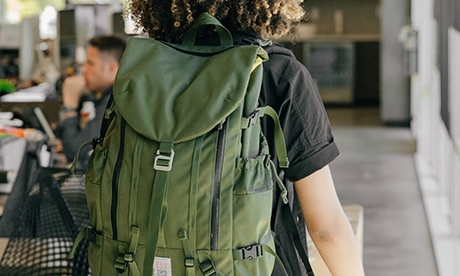 The rubberized cotton always displaying color beautifully. 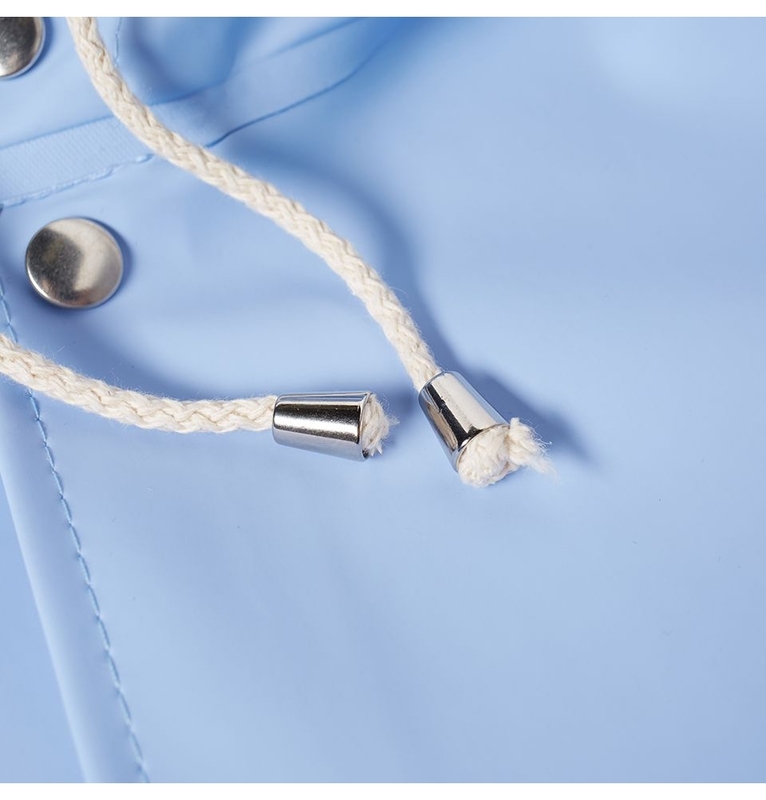 Using the finest materials and details, Stutterheim raincoats have undergone severe testing in horrible conditions both at sea and in the city. 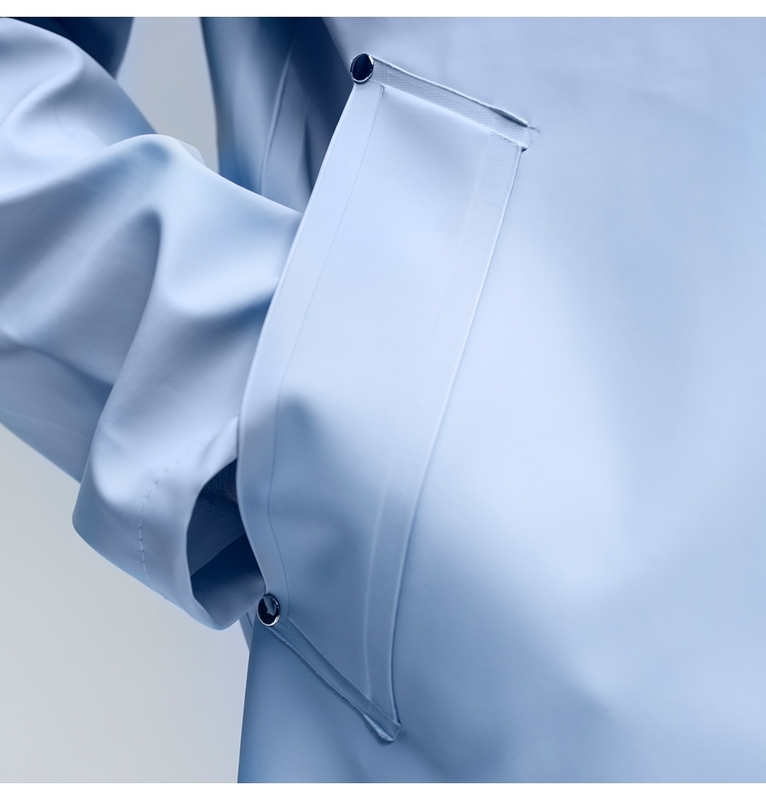 Each coat is individually quality-controlled by Stutterheim skilled seamstresses and 100% weatherproof. Please keep in mind that this style is unisex and the sizes are men’s sizes. For Women - Size down one size. For a women's size S you should choose a size XS. The coat has a generous fit, so if you are between sizes you should size down further. Please note that the straight fit of the Stockholm coat can be perceived as narrow over hips and bust by some women. If you are looking for a silhouette that works well for a curvy body type, check out our A-lined Mosebacke style. The female model in the picture is 177 cm tall and she is wearing a size XS. 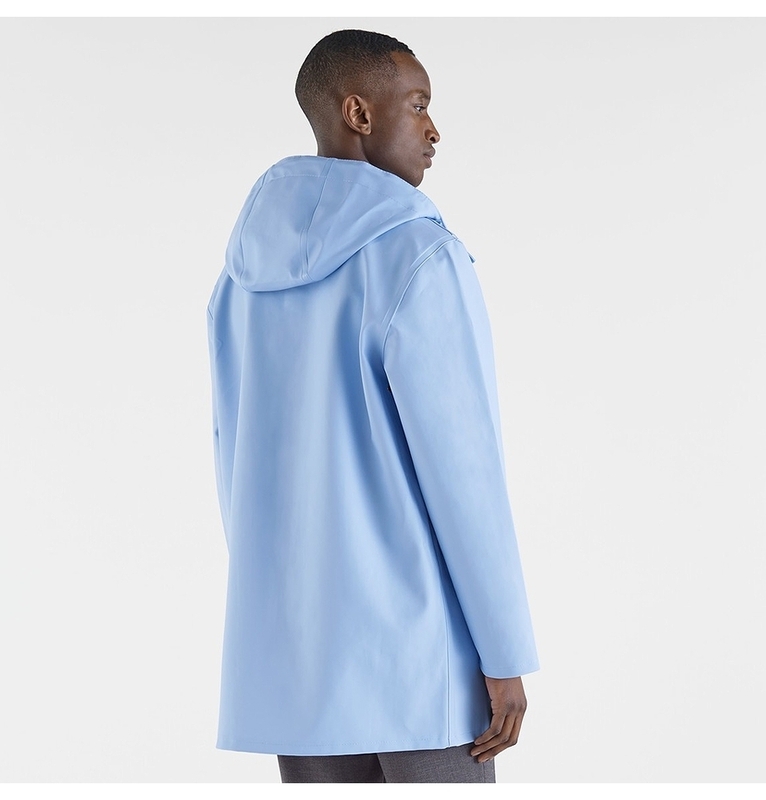 The male model in the picture is 189 cm tall and he is wearing a size M.
On our special STUTTERHEIM FIT GUIDE page, you will find all sizes: chest width, Taille width, board, length, and sleeve length. 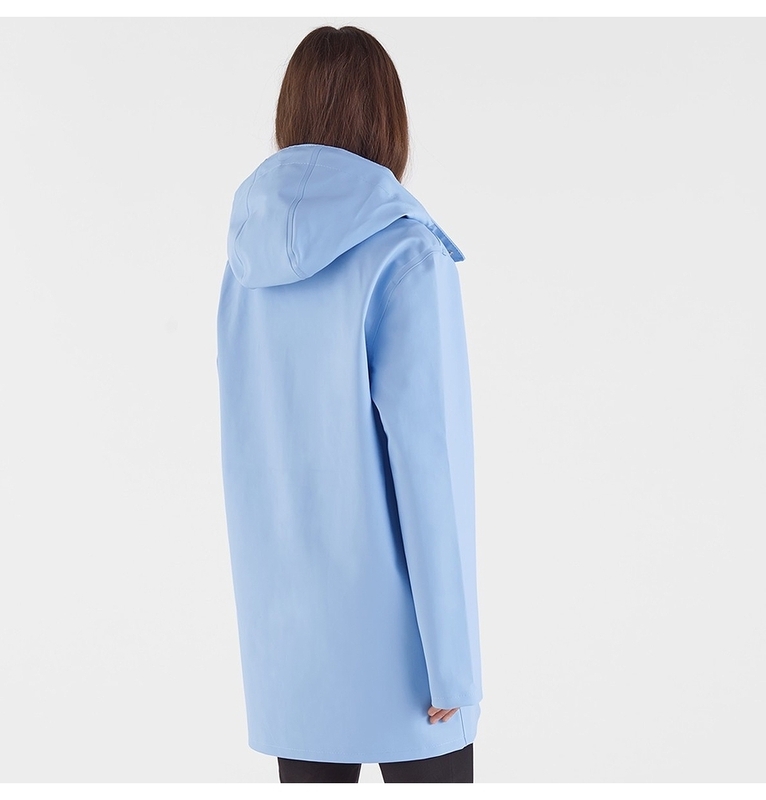 The Stockholm raincoat is unisex with a straight fit. Keep in mind that the sizes are men's’ sizes. Please note that the straight fit of the Stockholm coat can be perceived as narrow over hips and bust by some women. If you are looking for a silhouette that works well for a curvy body type, check out our A-lined Mosebacke style. 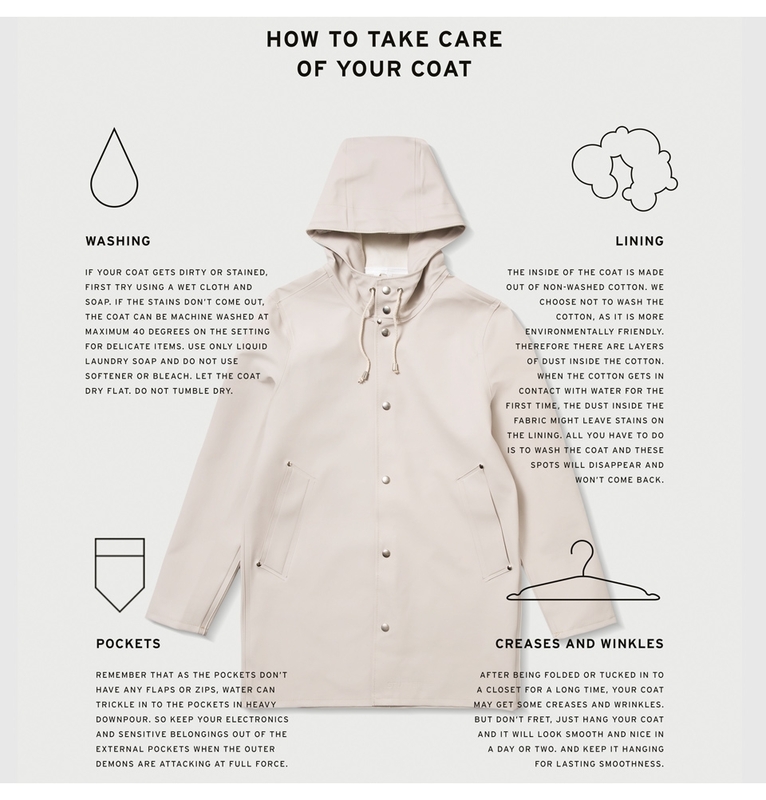 We recommend that you strictly follow the Stutterheim care instructions to ensure product quality. 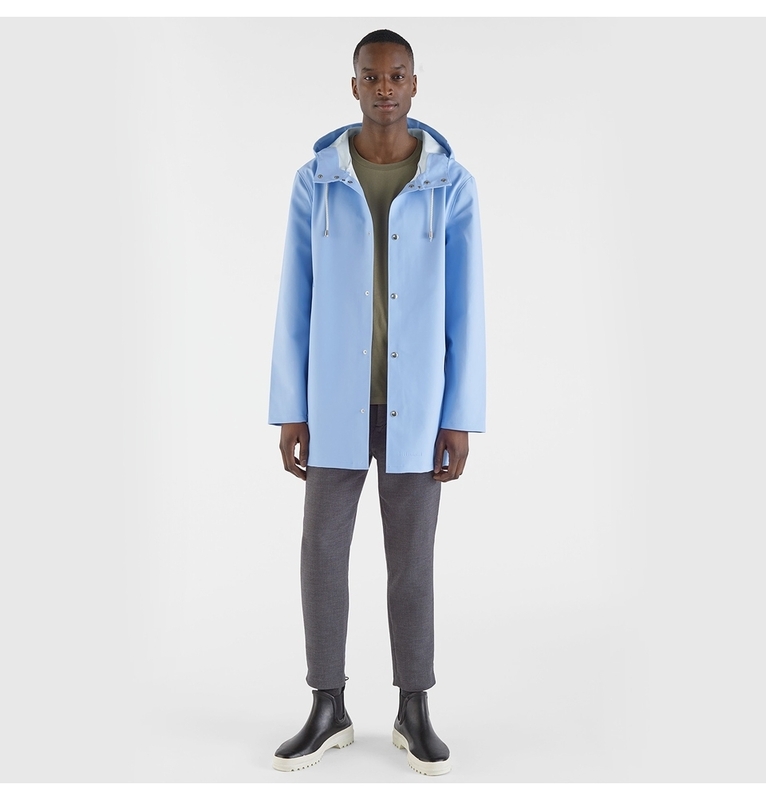 Stutterheim Raincoats is a Swedish luxury fashion brand founded by Alexander Stutterheim in Stockholm in 2010. 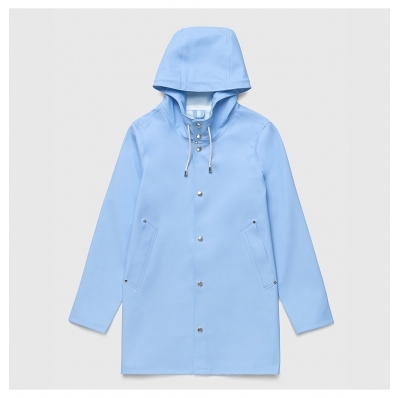 Ever since, the brand’s vision has been to create beautiful yet functional rain- and outerwear in the highest quality. All coats are handmade using the finest craftsmanship and are characterized by simplicity, functionality and timeless design. 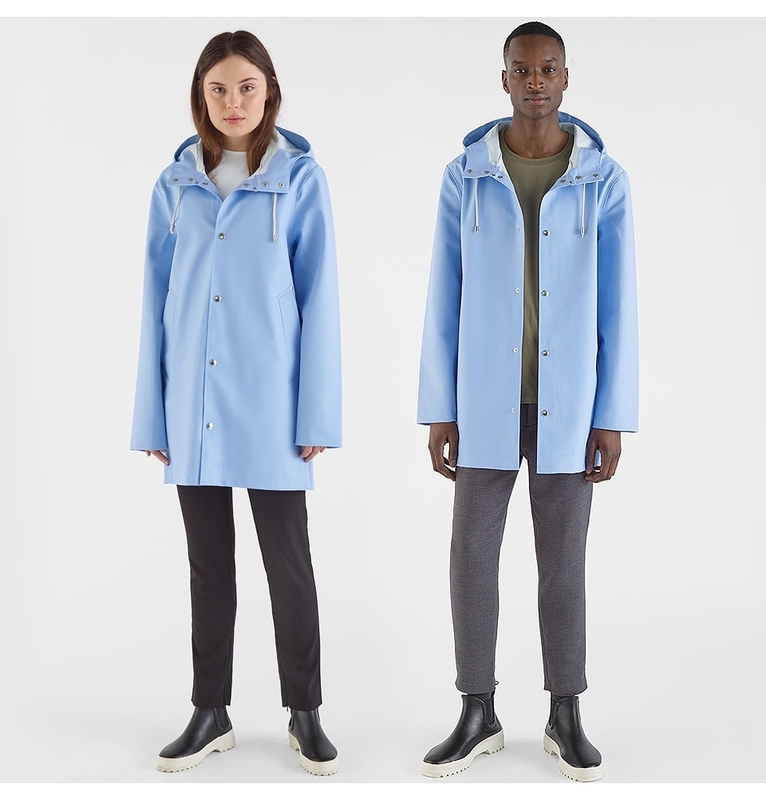 Today Stutterheim Raincoats have come a long way, from being a company of two to employing more than 20 talented people, but still working from the Södermalm area of Stockholm.